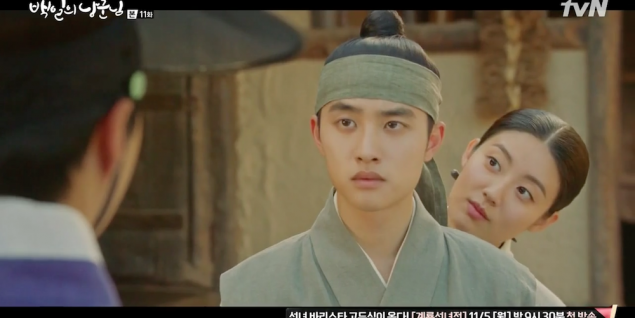 As tvN's '100 Days My Prince' approaches its climax, I've personally become aware of several things thanks to the events of episode 11. Today, as I recap some of the major developments from this episode, I also want to make the argument that there are many characters outside the two main characters in this series, whom I find just far more interesting. They're the characters who truly make this drama worth watching, and I want to point some of those characters out today. Eeep! Close your eyes, it's a spoiler! Perhaps the most tragic character who is literally definition of "blurred lines between protagonist and antagonist" is the King. At this point, there's no real point to trying to figure out if this King is a good guy or a bad guy. He's just one of the most tragic guys in this story, and we all can't help but really feel for him. Now, after ordering his men to assassinate the main antagonist Kim Cha Un, the King is haunted with nightmares because he fears that any moment, Kim Cha Un will barge in to the palace and kill everyone, including him. It's not like he's having improbably hallucinations either, because we can all imagine Kim Cha Un doing that. That royal advisor has proved again and again that he's evil enough to just massacre waves of people in the blink of an eye. So while Kim Cha Un is "missing" after fleeing from the King's assassins, the King makes a very critical decision - to appoint the Queen's son Seo Won as the next crown prince and heir to the throne. King: Yeah, I haven't slept a wink since I sent out my men to kill my advisor BUT I still look this good. In regard to the King and the Queen's son Seo Won, I've made a point in a previous review about how he actually doesn't seem like too bad of a choice for the throne. While his mom is like partying on the inside after the King's drastic decision, Seo Won asks for an honest explanation from the King for his appointment as the crown prince. 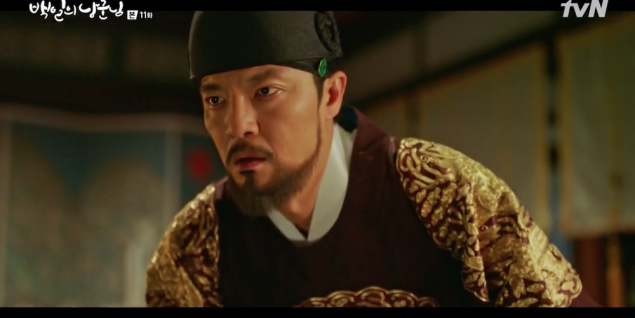 Then, after hearing the King's heart out, Seo Won accepts that he must follow the King's orders as it is a morally and emotionally correct decision. To convey to us viewers that he is capable of such depth, even though he only appears maybe 4-5 minutes every episode, is more than enough to convince me that this character is a worthy character. Seo Won: I just became crown prince, but do the viewers even know what I look like?? Meanwhile, a character that I had a lot of hopes for in the beginning of this drama is... proving to be rather disappointing. To be honest, our young town governor Jung Jae Yoon (played by Kim Sun Ho) just hasn't done anything worthwhile in the past few weeks. 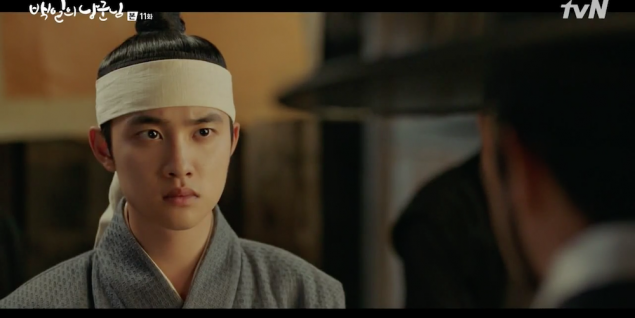 In episode 11, Jae Yoon becomes one of the first "good guys" to figure out that Won Deuk (played by EXO's D.O.) 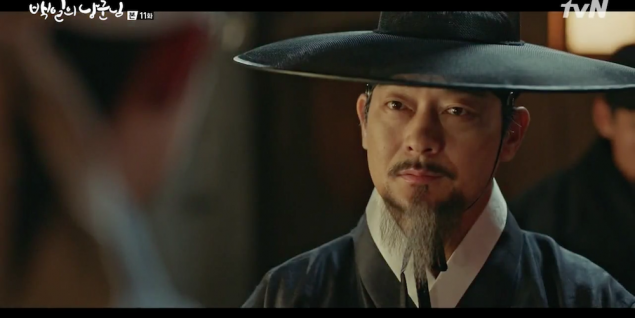 is actually the missing crown prince Lee Yool. But then, toward the end of episode 11, he idly watches the crown prince and Hong Shim (played by Nam Ji Hyun) enjoying the town's festival from afar, acting as if reporting to the palace that the crown prince is alive isn't the MOST IMPORTANT DUTY of his entire career. I mean, it's true that in the next episode, we might get a better explanation of what he was actually doing while Hong Shim and Won Deuk were discovered by Kim Cha Un's band... but all in all, as a viewer, I expected Jae Yoon to play a much more meaningful role in the drama. Not just comic relief plus a cute second-male-lead to fall for. Jae Yoon: If I pout, will viewers like me again? Next, the princess consort Kim So Hye is a character whom I disliked in the first several episodes of the drama, but as time went on and we got to learn more about her character, my heart also went out to her. She is a character who was fated with a life of unhappiness, mistrust, and loneliness ever since she was born as Kim Cha Un's daughter. And now, she is at a critical moment in her life where her father Kim Cha Un needs to use her as a key pawn in acquiring the throne and power over the country. Let's just call out the elephant in the room since there's no point skipping around it anymore; we all know that the baby inside the princess's womb is Moo Yeon's child. There's no way that the baby has the prince Lee Yool's blood whatsoever. The heartbreaking, slight romance between the princess consort and Moo Yeon is really attention-grabbing, from a viewer's perspective. I find their story more romantic than Hong Shim and Won Deuk's romance, to be honest. And even though I don't believe that the princess and Moo Yeon can have a happy ending by the end of this series, I still look forward to what outcome there will be ultimately for these two. The princess's situation, her loneliness, her inability to take control of her own life - all of these factors were a great addition to building a more complex and vivid plot in this drama, so props to another character who managed to steal me. Meanwhile, back in the little village, Hong Shim and Won Deuk have decided to run away together in order to live a quiet, secretive life away from politics and trouble. It really is unfortunate that these two pure characters can't just get away from all of the evil grown-ups and have a lovey-dovey romance, but at the same time, I also find it a little stagnant that this drama's main characters - Hong Shim and Won Deuk - have no real.... ambitions in their lives. In comparison some of the more dynamic characters in this series, that is. There are characters like the princess and Moo Yeon, who are struggling every day to find the slightest ray of hope in their bleak lives. There are also characters like the King and Seo Won, who have made important decisions in order to protect their families. But in Hong Shim and Won Deuk's case, it's almost like they're still children. They were handed these tragic circumstances in their childhood, and they're now grown up, but they're still walking on a path controlled by what happens to them, not necessarily making any decisions about their lives on their own. Despite all that, it's true that in Won Deuk/Lee Yool's case, he doesn't have any memories of who he is and therefore, he's very limited in making any dramatic life decisions. In fact, Won Deuk has done a very good job of making the memory-less, pretentious peasant character a lovable guy. But the real juicy part of the story starts now, seeing as Kim Cha Un has arrived to take Won Deuk away from the little village, back to the palace. I think what transpires next after Yool returns to his place in the palace, will play a decisive role in shooting this drama's plot score up to a 9 or a 10, or making it take a pitfall. Performance and pacing-wise, I couldn't be more content with how everything it lining up neatly and on schedule with the episodes. I think this is real plus of 100% pre-filmed dramas. I wonder how the actors and actresses are responding, watching their drama from home since they filmed the drama way in advance!